Manage Tasks, Appointments, E-mail, Reminders, Service tickets, Priorities, and virtually any other customer interaction with a single interface. One of the most difficult challenges of CRM is getting the organization to use the system. Select a solution that enables your staff to record customer information and activities quickly and easily. Recording activities should take seconds, not minutes. People in organizations simply refuse to use systems that overburden them with tedius data-entry tasks. HydraNet ground breaking technologies make recording customer information and activities 5-7X faster than competing solutions. One of these technologies is the Multi-Task System (MTS®). all on a single screen and with just a few mouse clicks. Why combine all this functionality into a single screen? Because it dramatically reduces the time it takes to record either simple or multi-layered, complex customer interactions that typically show up in an average workday. How much time can MTS® save entering just one client interaction? 2) Click the MTS® (Event) button next to the client's name. 3) Click the buttons corresponding to Appointment, Task, Customer Service, and Reminders. 4) Set the time and date of the appointment. Elapsed time: less than 28 seconds. 3) Click New in the Cases section of the contact. Elapsed time: 2 minutes, 25 seconds. The competing system required 5X more time to record the same activity, it created 3 unrelated records although all 3 records should be tied to the same event. While spending 2 minutes to record a client activity may not seem like much, multiply that by the number of interactions recorded every business day. Time is money, and in today's competitive business climate, organizations can't afford a CRM solution that wastes 30-60 minutes per user per day. HydraNet MTS® records client activities faster and easier than competing CRM systems. In addition, it combines with the 360° View (360DV®) system to track and analyze client-by-client profitability thus uncovering hidden costs and benefits in your value chain. And it eliminates the disconnect between related emails, customer service tickets, tasks, reminders, appointments, and priorities, ensuring that nothing falls through the cracks. Diagnose your business and start using MTS® to save time in your organization. How CRM-gx™ account management, reporting, and lead management systems drive value. Tools like MTS® makes recording interactions with customers a snap. HydraNet's MQA® eliminates the headaches of traditional CRM. Meet JCAMS® - one of the world's most advanced account management tools. Read more here. 5 STARS® combines more functionality and power than most multimillion dollar CRM solutions. 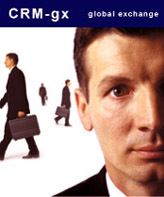 Detailed overview of CRM-gx™, requires PDF Reader.